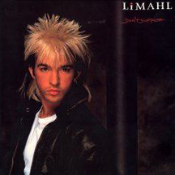 A mere 26 years after it was first released, it is announced that the fantastic ‘Don’t Suppose’ album from Limahl will be released on CD on January 25th 2011 by American company ‘Gold Legion)’, in conjunction with EMI Records. Mastered at Universal Mastering Studios from original masters. Contains 8 page booklet with liner notes and rare images. This is fantastic news for Limahl fans so make sure you support him and get your copy. great news – this should have hapenned years ago! Custom release or not, it’s great news. As you say, a shame there is no greenhouse Effect, OTT, or mixes of the singles, but I’m happy to upgrade my CD-R for this. Let’s hope that Colour All My Days gets the same treatment! Needless to say, I just pre-ordered mine. Hey there. Anyone else ordered this CD? Cause it looks like the Goldlegion are fooling people and stealing money. I pre-ordered the CD and pre-paid over two months ago. I sent them 4 or 5 emails since, no reply, no money back, no CD. Nothing. Can anyone help please??? Gutted to hear this is still not resolved, I’ll drop them an email and see if I can find anything out. I think that it’s disgusting……………..but hopefully the disc will be despatched. Eventually. Anyone has any news on this irritating topic?